Well our berry patch endeavor has begun. We thought a couple years from now we would get some plants . . .well this is a little lot sooner then anticipated. Aaron’s crazy auction habit found something good! 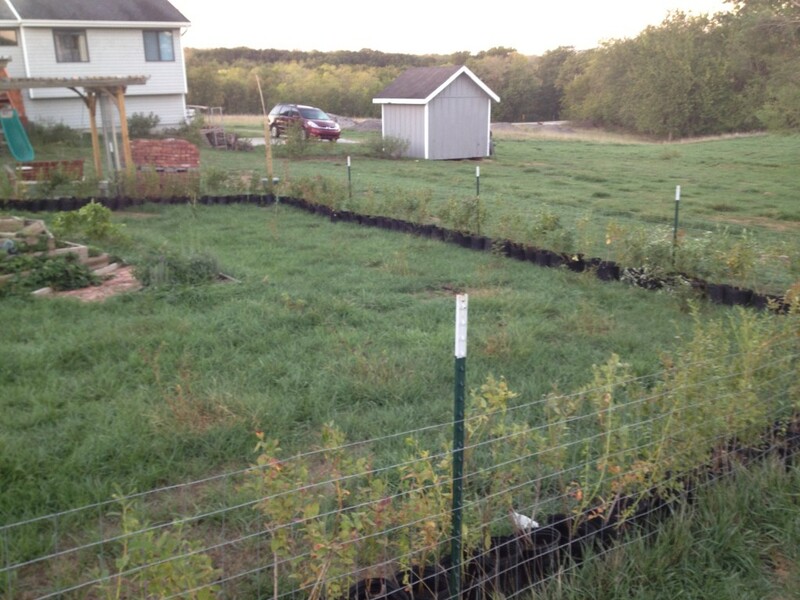 We scored a deal and are the proud owners of 136 blueberry plants! We have Duke, Bluecrop and Elliott varieties, they are early, middle and late season producers. Some of them are 2 and 3 year old plants and should be producing fruit next year! Unless, we have another summer like we just had . . .in which case we will be watering them to keep them alive. Will you do us a favor? Pray for us to have some direction . . .we have an opprotunity to get more of these older berry plants , but it comes with a price tag and we need cash! We serve a Big God and we know He can supply what we need. So pray for us to have some direction to know if we need to invest in berries right now or if we should wait. Stay tuned for further updates.